All Classical’s flagship station 89.9 KQAC is now operating at an increased broadcast power and with HD Radio®. We’re receiving reports of improved reception for many listeners throughout the region. Some people notice that background static noise is reduced or eliminated. Others report radios that previously could not tune in to 89.9 now can. Hear us on the internet: Not everyone who listens amidst large hills or buildings can hear us over the air – such is the nature of radio. All Classical continuously streams our program on the internet, so we encourage you to try it right now by clicking “Listen Now” at the top of our website. 89.9 FM/HD KQAC, greater Portland metro area, Vancouver, Beaverton, Salem, Wilsonville, Newberg, Gresham, Kalama, Longview/Kelso. 88.1 FM/HD KQOC, along with the mid-north Oregon Coast, such as Yachats, Waldport, Newport, Depoe Bay, Salishan, Lincoln City, Neotsu. 88.1 FM/HD KQHR, in or near the Columbia Gorge area, such as Cascade Locks, Hood River, White Salmon, Trout Lake, Lyle, Mosier, Parkdale. 96.3 FM/HD KQHR repeater, in The Dalles, Goldendale, Centerville, Dufur, Wasco. 95.7 FM/HD repeater, in Corvallis, Philomath, and Albany. 90.3 FM HD2 KSLC McMinnville – To hear All Classical on 90.3 in the greater McMinnville area, you must have an HD Radio®, tuning to 90.3 on its 2ndchannel. 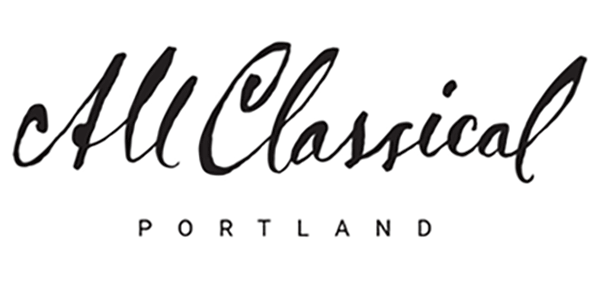 HD Radio® is the very best sound quality for static-free classical music, and we are delighted to extend our radio coverage into the Yamhill Valley via HD Radio®. 1. Try an HD Radio®. It’s the newest form of radio, promising better quality and more program choices. Oregon now has 43 HD stations, including All Classical. The clearer sound and complete absence of background static make it well worth the investment, in the car, home, and office. StereoKing http://stereoking.com/ or any local car stereo installer. Many newer cars are equipped from the factory with HD Radio, including Subaru Forester, most Audi, BMW, LandRover, Lincoln, Mercedes-Benz, Scion, Volkswagen and Volvo models, many Ford and Hyundai models. More new car models are arriving with HD Radio as standard or optional each year. Best Buy Insignia NS-BHDIP01. 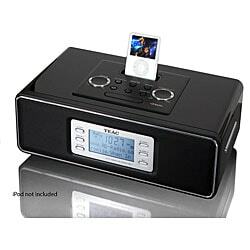 It has HD radio, a CD player and an iPod/iPhone dock, plus it will run on batteries. 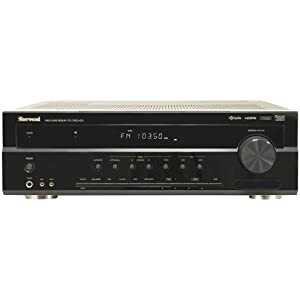 Sherwood RD-7405HDR, a full featured home stereo receiver at a very low price. 2. Table radios and clock radios often use the power cord as the antenna. Try moving the cord around or relocating the radio. 3. With portable radios or boom boxes, try adjusting the telescoping ‘whip’ antenna to as short as possible. This can solve “overload” problems when other strong signals are causing interference. A 5-foot piece of insulated wire (like doorbell wire) to one antenna terminal and position the wire for best reception. Either horizontal or vertical positioning or somewhere in between should be tried. Taping the wire to a yardstick is a useful way to probe for the location where reception is best. A simple flat wire indoor FM antenna such as the Radio Shack 42-2385 (or equivalent) is a little better yet if two terminals are available for connection. A basic rabbit ears indoor TV antenna such as the Radio Shack 15-1864 at $10. The ultimate indoor antenna: Magnum Dynalab’s Silver Ribbon Tunable Indoor Antenna. About $40. Available at Stereotypes Audio, 1401 SE Morrison, Portland, (503-280-0910), www.stereotypesaudio.com . Stereotypes offer a 10% discount on antennas to All Classical members. Do you already use an ‘amplified’ antenna? Such antennas usually aggravate FM reception problems since they also amplify interfering stations. If your antenna uses batteries or has a power cord that plugs in the wall, it is an amplified antenna. Disconnect it and try one of the other solutions described in this article. The ultimate solution to poor reception: Install a rooftop outdoor antenna (it can also be installed in an attic). This antenna looks very much like a typical rooftop TV antenna. We realize that for many people putting up such an antenna is either not possible or very impractical, but it will certainly reward those who can manage to do it. The Radio Shack 15-2163 (or equivalent) FM antenna will often give considerable improvement for weak FM signals. The cost is about $25. A short antenna mast, mounting bracket, and cable are necessary for the installation, and all are available at Radio Shack. 5. The use of high-quality component tuners or receivers will give far better performance than the average table radio. They always have external antenna connections to facilitate connection of either indoor or outdoor antennas. 6. Component HD receivers and add-on home tuners are available, along with after-market car receivers. More automakers now offer HD Radio® as standard equipment or as an option in new cars. 7. If you are already using an indoor or outdoor antenna and still suffer from poor reception, it is likely the result of too much signal, especially from other radio stations. Difficulty in tuning in the station because it seems too narrow on the dial crowded on each side by other stations. The solution is to install an RF attenuator – a big name for a small, $2.00 device that gets connected between the antenna cable and the radio. The Pico-Macom FAM-16 attenuator works well Portland and is available from URS Electronics, 123 NE 7th Ave., Portland. (503-233-5341). Make sure that you are not using an amplified antenna. The attenuator is only effective with the types of antennas described in this article. 8. Improving car reception. Make sure the outside aerial is fully extended. It makes a big difference. Even better: new HD car radios deliver static-free reception.